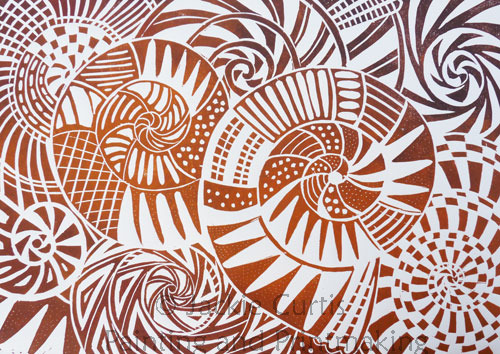 Linocut by Jackie Curtis based on ammonite fossils from Kilve beach. The colours are inspired by the rust and ochre colours found in the rocks on the beach. Exact colour may vary as the block is inked with two colours.